Every year in Teignmouth on Boxing Day is the ‘Walk in the Sea’, a fund-raising event for the Lifeboat Service (RNLI). My previous blog on the Compass Rose reminded me of a poem I had written in 2012 after that year’s Walk in the Sea. There is tremendous local support for the Lifeboat service whose volunteers go out any time to help those in trouble on the sea. that apprehension of the icy chill to come. and heightens, oh so much, the fun of fear. with shards of Christmas cheer in mind. with apronned front and monogrammed behind. that keened through struts and watching crowds. ten, nine, eight ….. right down to one. and leapt the breaking foam. we lunged, we ducked, we screamed. Our rictus gasps sucked in the precious air. and the sea could not constrict us there. ten, twenty metres from the shore. that help was always close at hand. perhaps as much as five. to bring us all we need. Local men, everyday men like you and me. all those in peril on the sea. This entry was posted in The Sea and tagged Boxing day, lifeboat, RNLI, Teignmouth, walk in the sea on January 30, 2014 by pherecrates1. 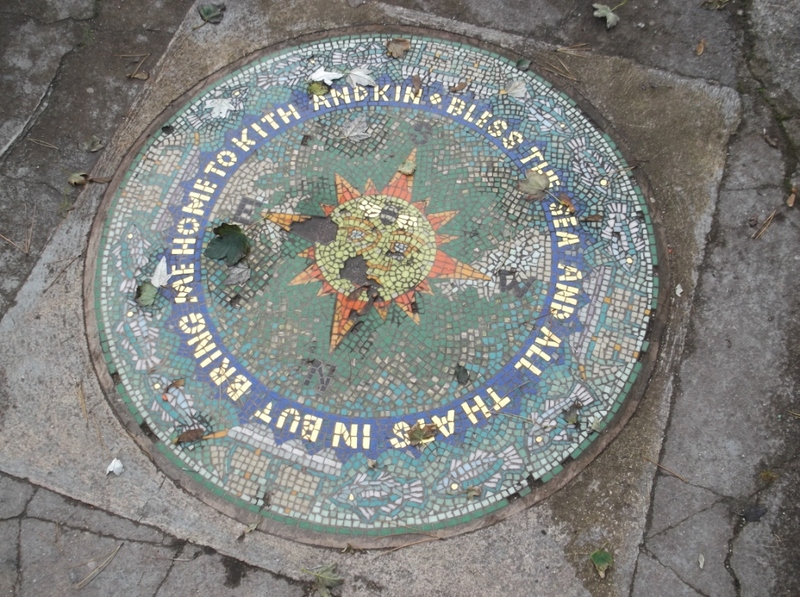 This mosaic compass rose is to be found at the lower entrance to Mules Park as you walk up the cliff path. It bears the above rhyming couplet. Is this poetry? I think so. There are many views on what is actually meant by poetry but if you believe, as I do, that one of the features of poetry is to capture the essence of something in a few meaningful words then this couplet satisfies that criterion. 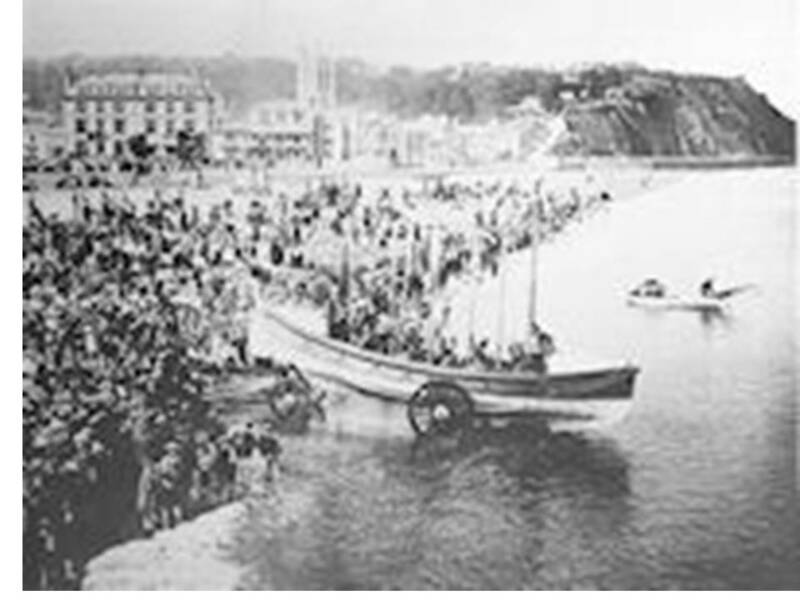 Teignmouth has a long sea-faring tradition, recorded as far back as the thirteenth century. Making a living from the sea was, and still is, a tough occupation with high risk and much heartbreak. The sea provided but the sea could also be a demanding master, taking lives at will. The couplet reflects Teignmouth’s sea-faring tradition and encapsulates feeling of the prayers and fears of those, and their families, who risked their lives to provide. A homily that is as true now as it was seven hundred years ago. This entry was posted in The Sea and tagged Compass Rose, mules park, sea-faring, Teignmouth on January 29, 2014 by pherecrates1. Keats’ poem on Teignmouth referred to a number of places along the Teign estuary. The existence/ location of two of these, The Barton and Larch Brook, have been the subject of some debate. I decided to explore for myself and took a walk up and down both sides of the estuary following the path of Keats in search of truth. This poem reflects my thoughts. I followed the path of Keats today. where the feet of Keats might once have trod. in some obscure metaphoric way. across what’s now the Templer Way. to strand the crabs in traps of clay. which is all ye know on earth and all ye need to know. if you should from its hardened, lapping lips dare stray. whose breasted brook surged out from reeded fields. I reached the cream-tea land of Coomb at clear Teign head. the Barton, the King’s Teign edging Newton Marsh. then surely Larch Brook was no casual rhyme that Keats had feigned. until I found where I believed lay truth. gaunt conifers in silhouette against the vernal skies. ‘Larch Brook’ – no poet’s random rhyme; I found Keats’ truth today. Want to know more? See ….. 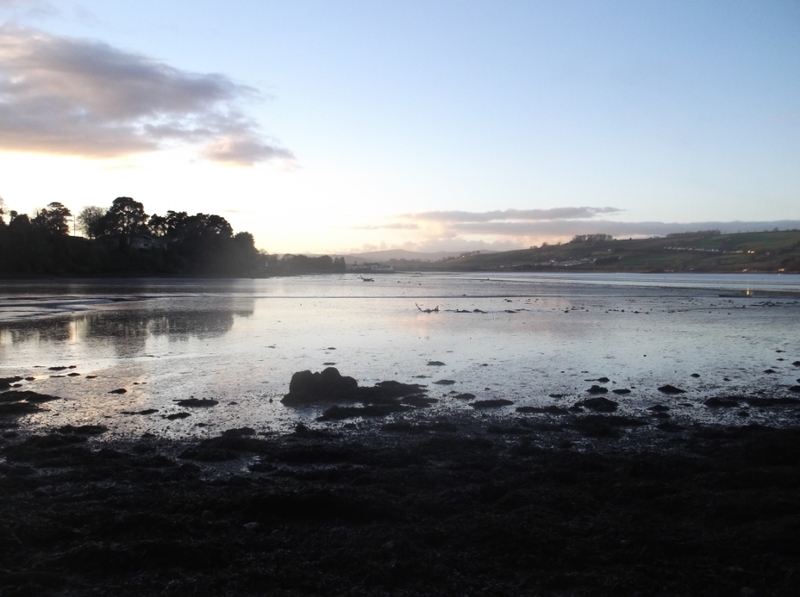 This entry was posted in Keats, River verse and tagged Arch Brook, Barton, Bishopsteignton, Coombe Cellars, Endymion, Keats, Kingsteignton, Larch Brook, Newton Abbot, Newton Marsh, Teign, Teignmouth on January 25, 2014 by pherecrates1. And we send you a happy new year. of cider all next year. Old apple tree we wassail thee and hope that thou wilt bear. The Lord doth know where we shall be till apples come another year. and a little heap under the stair. here’s health to the apple tree. 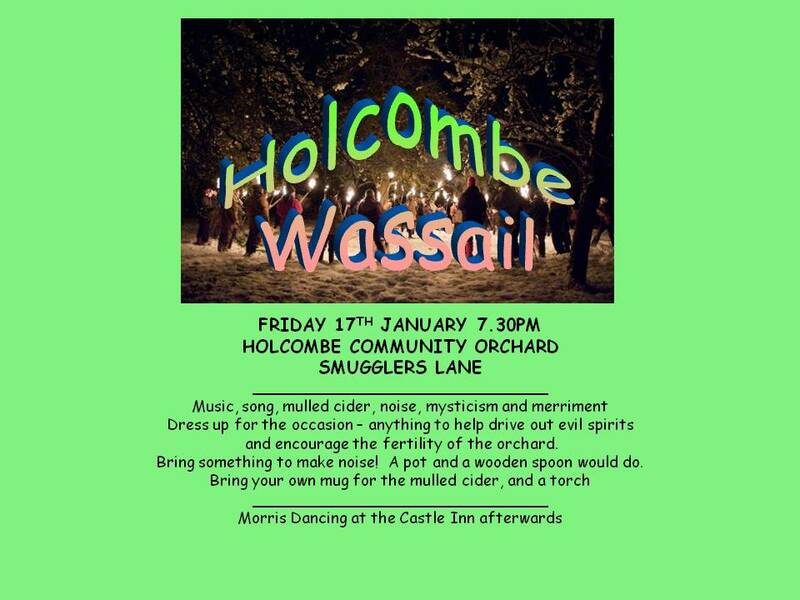 This entry was posted in Celebration and tagged apple trees, beowulf, herrick, holcombe, orchard, Wassail on January 20, 2014 by pherecrates1. I found this, “The Darkling Thrush” whilst out walking on Wednesday. 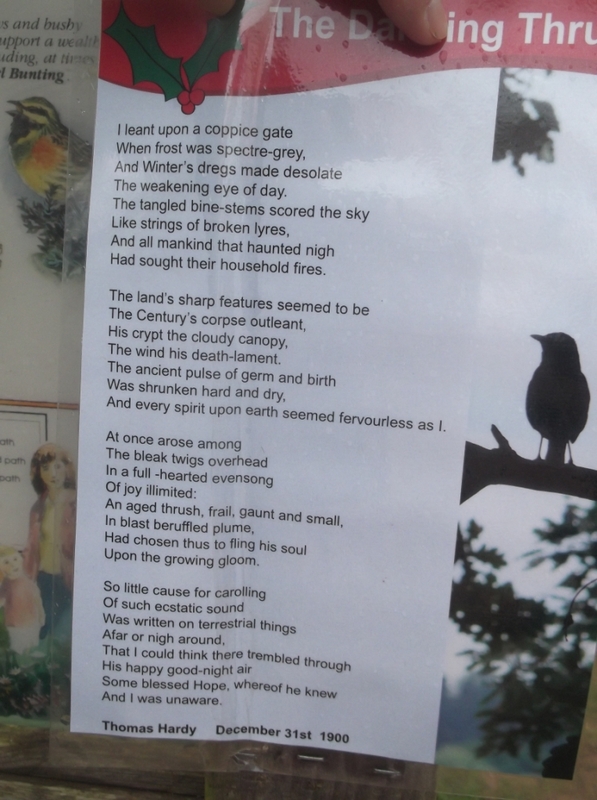 It was pinned to a nature noticeboard in Mules Park in Teignmouth. I wonder if this is an example of “Guerilla Poetry”. Nice idea. Perhaps I should do some clandestine postings around town! This entry was posted in Uncategorized and tagged darkling thrush, mules park, Teignmouth, thomas hardy on January 10, 2014 by pherecrates1. What better way to start Teignmouth in Verse than with this piece, ‘Teignmouth‘, by Keats which can be found on the wall of the New Quay Inn. This was described as ‘some doggerel’ in a letter to B.R. Haydon. All spread upon barley bread. And fattening his silver gill. Doth catch at the maiden’s gown. Do meet in the dusk to revel. And a bank for the wasp to hive in. And the green bud’s as long as the spike end. And startle the dappled prickets? 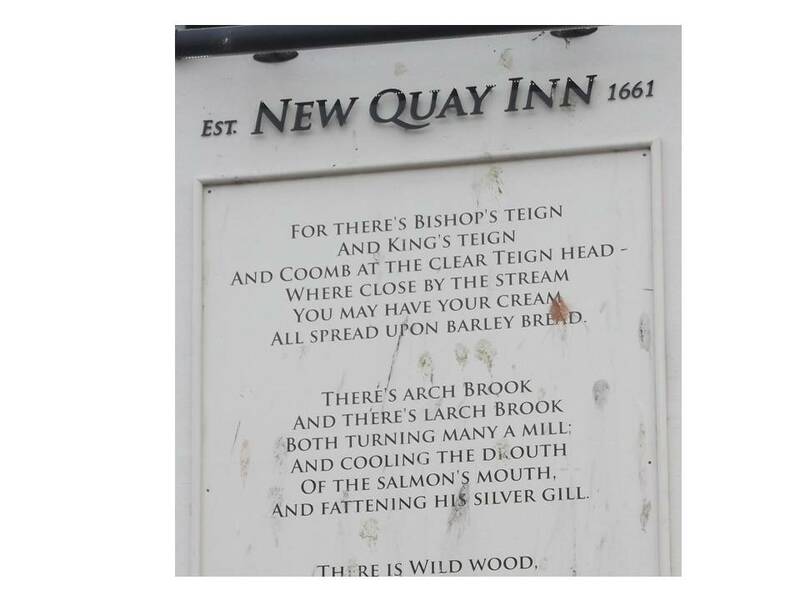 This entry was posted in Keats, River verse and tagged Keats, New Quay Inn, Teignmouth on January 5, 2014 by pherecrates1.